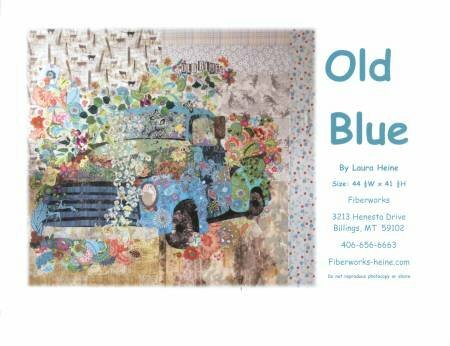 Old Blue vintage truck collage pattern by Laura Heine includes full sized patterns and step by step color instructions on how to complete the quilt. Fused appliqu�. Size 44 1/2" x 45 1/2".